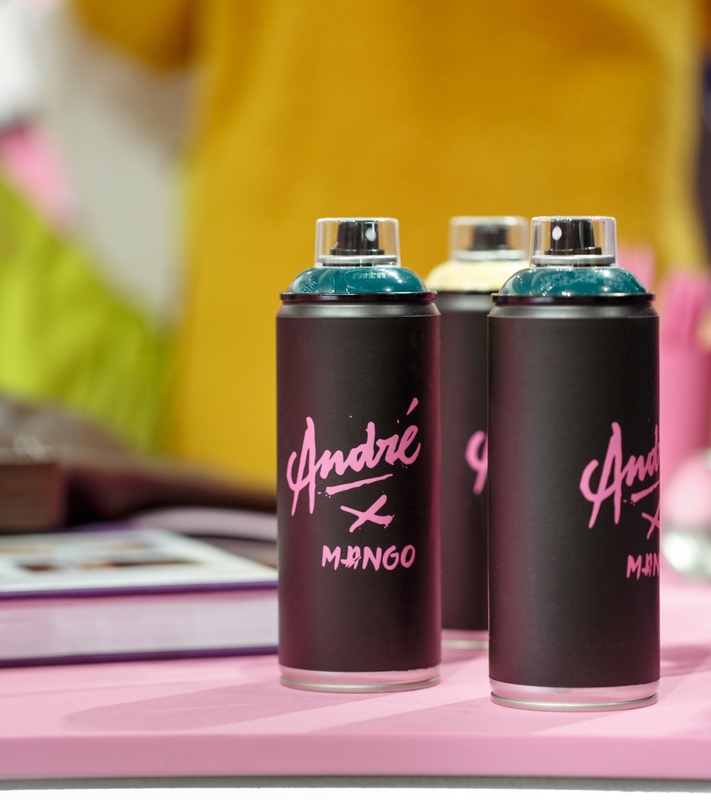 The influential graffiti artist André Saraiva, author of the iconic "Mr. A" who turned Paris into his canvas, signs this collaboration with Mango Man. 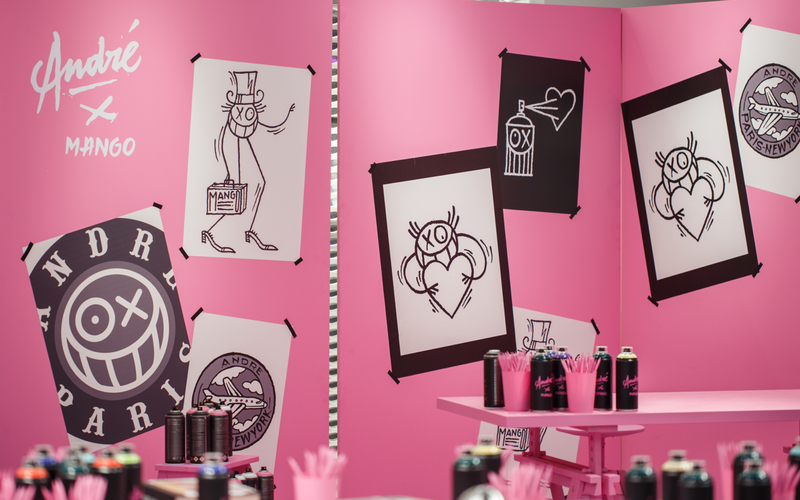 For the launch of the limited edition collection, we organized a presentation open to the public where the artist personally personalized the garments of the attendees. We recreated "studio" in the characteristic pink that he always uses and we made a setup of all the elements that could coexist with him. The collaboration was made in a series of t-shirts and sweatshirts with his designs, patches and embroidery to personalize any garment. Pascal Moscheni played while different people from the world of art and fashion were browsing the collection and seeing André's performance: Alex Domenech, Jorge Suquet, Gerard Estadella, Bea Moreno de la Cova, Filip Custic, Pitty Bernard, Francesco Souriges or Charlie Cole. © wozere 2017. All rights reserved.